To develop and create universal app package. 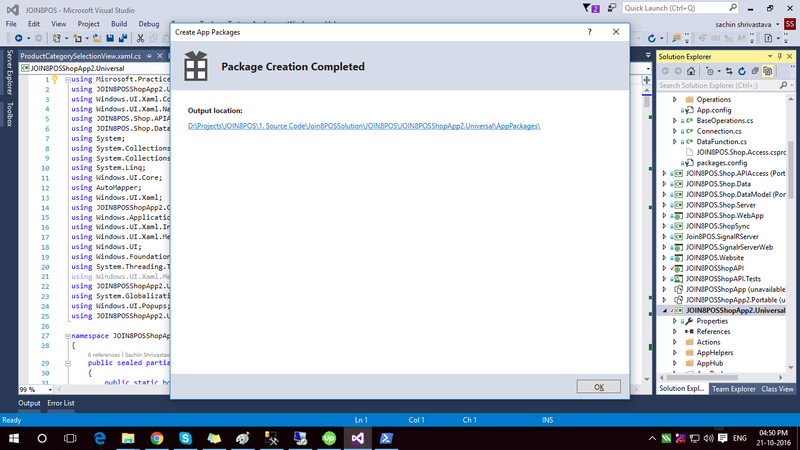 choose VS 2015 and installed Developer SDK. 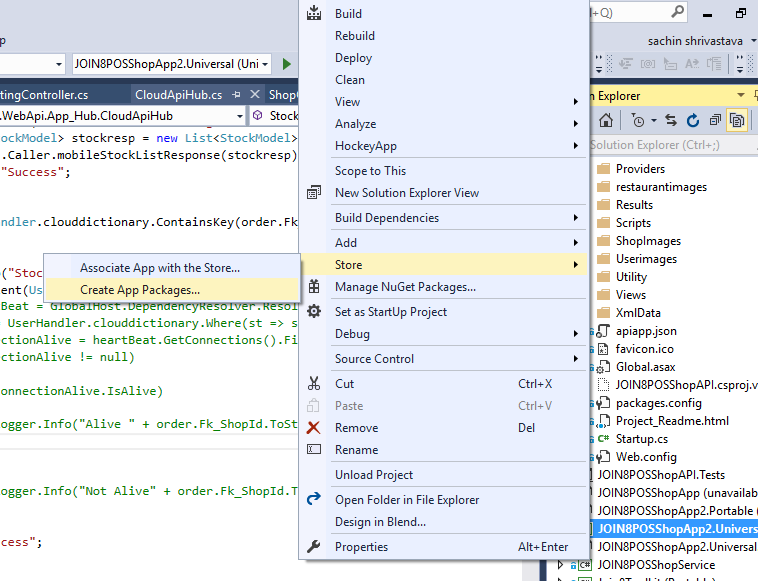 Step 1: Make sure app not have any error and developed, then right click on Universal app project in solution explorer. It will ask for confirmation "Y" or "N" press Y in power shell console. 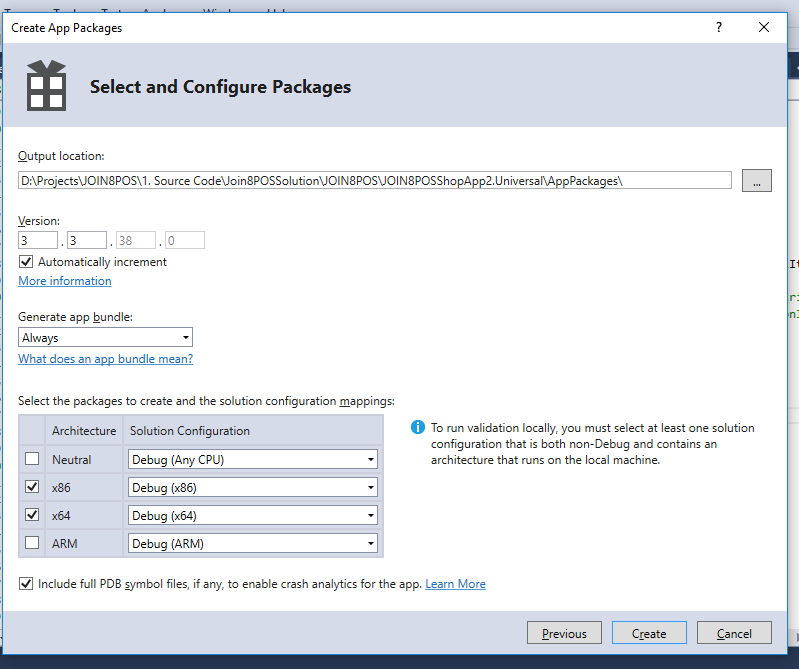 Installation ask for certification installation, for that choose "Y" and let certificate install, then app installation will start. on it done. 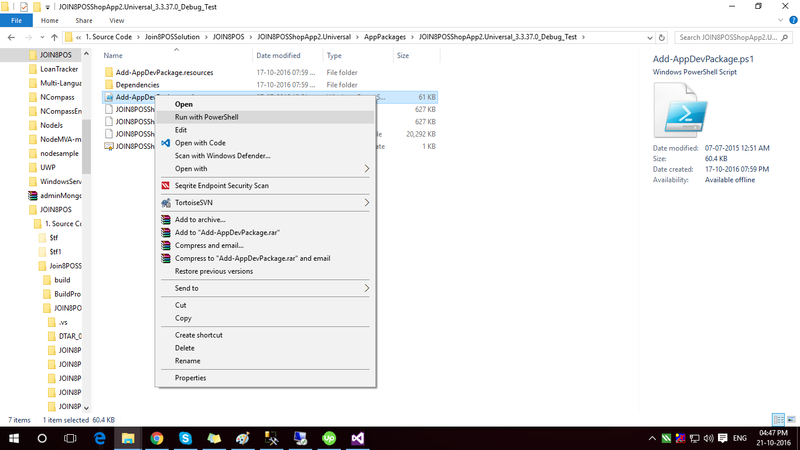 find all in start menu of PC.